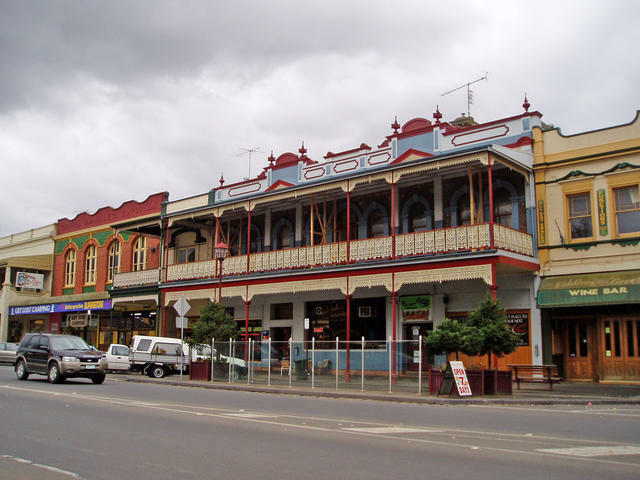 South Gippsland and the adjoining Bass Shire area, together, cover some exciting tourist regions to the South East of Melbourne. 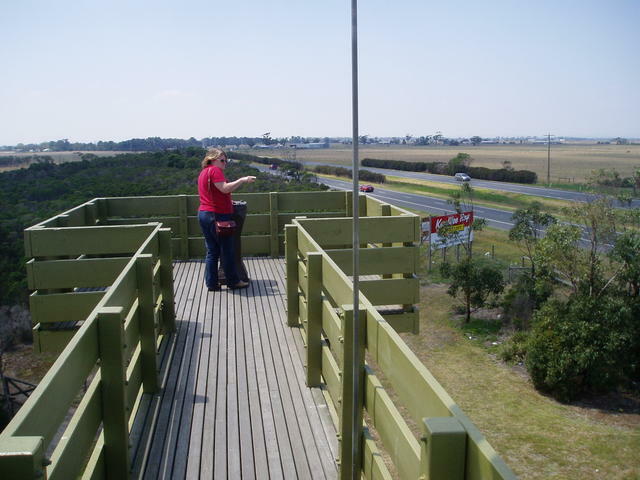 The aim of the trails mentioned in this article is to show access from various points along the Prince's Highway (A1 / M1) that lead travellers to the coastal and ranges attractions that lay south of this major highway which runs east/west across the entire state of Victoria. We've defined South Gippsland as the region that traverses west from Berwick, in the outer eastern suburbs of Melbourne, through to Warragul. Please refer to the other Prince's Hwy sections Central Gippsland for the continuation from Yarragon through to Sale, and East Gippsland for the stretch from Bairnsdale through to the NSW border near Genoa. Two key towns provide the traveller with access north from this region. 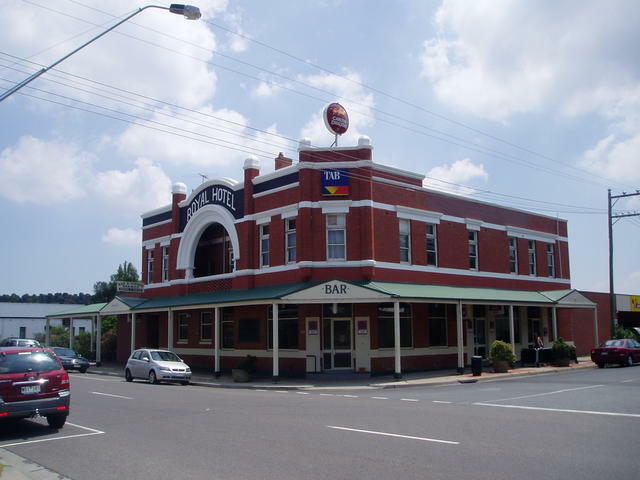 From Berwick, use the Silvan Dam Pub Trail. 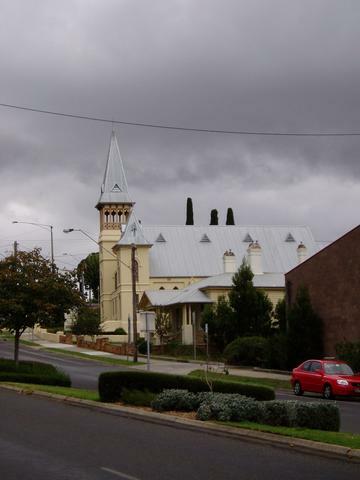 This is ideal for those wanting to stay on the fringe of the eastern suburns at Lilydale (35kms east of Melbourne). 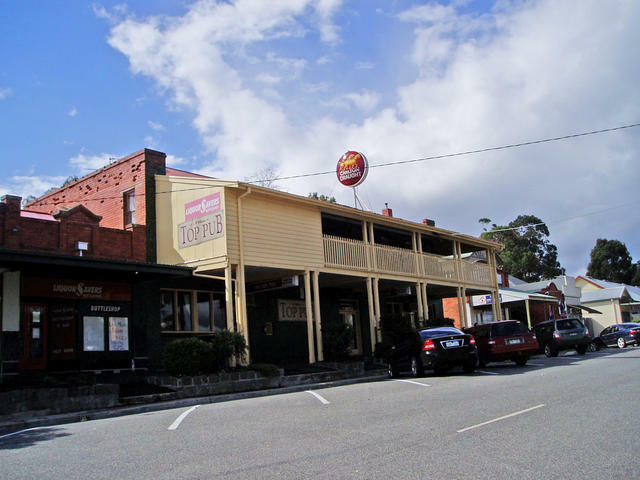 For those literally interested in getting a taste of the Mt Baw Baw region then consider heading out from Warragul, using the Warburton Pub Trail. 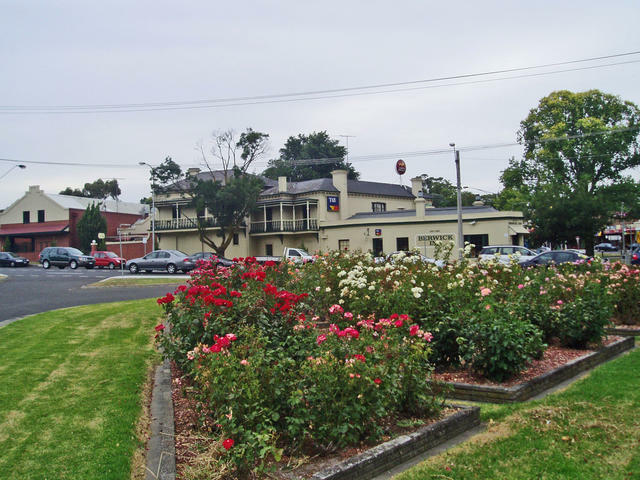 This will also lead you to Lilydale for access to the areas on the other side of the ranges that form the northern border of the South Gippsland region. 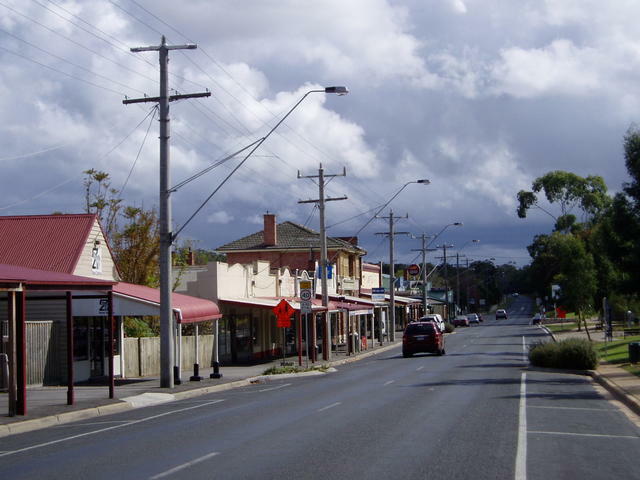 As the Prince's Hwy enters the outer eastern suburban area around Pakenham and Berwick, there are two major highways that run closer to the coast below. South Gippsland Highway and Bass Highway stretch around most of the coastal area, and you will end up on these as part of each of the 'drop-down' routes mentioned. And we've got a clue for Melbournites wanting to visit Phillip Island. So there is opportunity to zig-zag up and down any number of the trails suggested, depending on what you enjoy doing. go the 'old road' taking the original Prince's Hwy (not freeway) between Nar Nar Goon (near Pakenham) and Warragul, out along the railway route thru Garfield and Drouin - a nice Pub Trailing route! 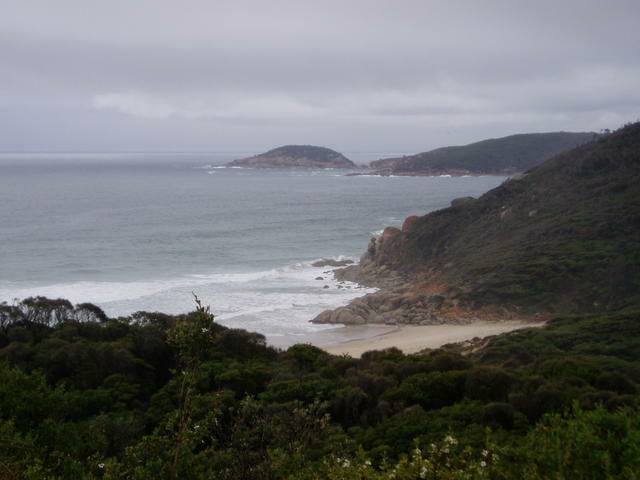 and if bush-walking and nature is of interest, explore the far southern wilderness of the Wilson's Promontory National Park. And naturally, there's a lot of great country pub trailing to do in these parts! Take a couple of days or a few weeks.... South Gipplsand - a top place to explore. Many a local heading south towards Phillip Island, will just take to the South Gippsland Hwy off ramp on the Monash freeway heading out of Melbourne and join into the Bass Highway heading down to San Remo...... 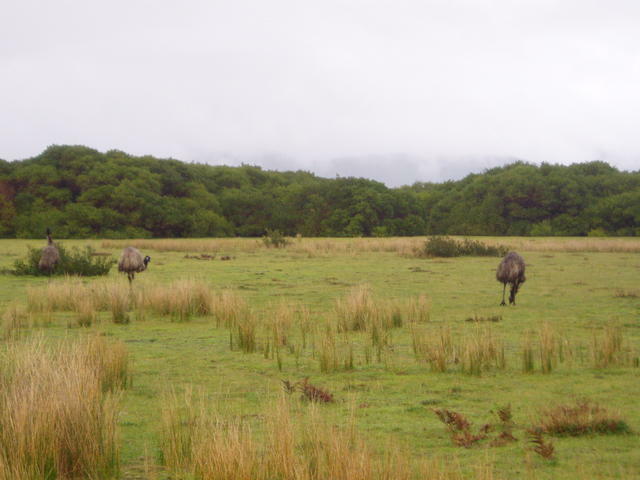 But if you've got some time, and enjoy Pub Trailing, you might like to consider an alternative approach. Let's start in Berwick, and consider a stroll through the town, and enjoy a coffee to start the journey in a relaxed manner. And of course, if your enjoying our Pub Trailing in reverse, the Berwick Inn is a top spot to enjoy a meal at the end of the journey to here! 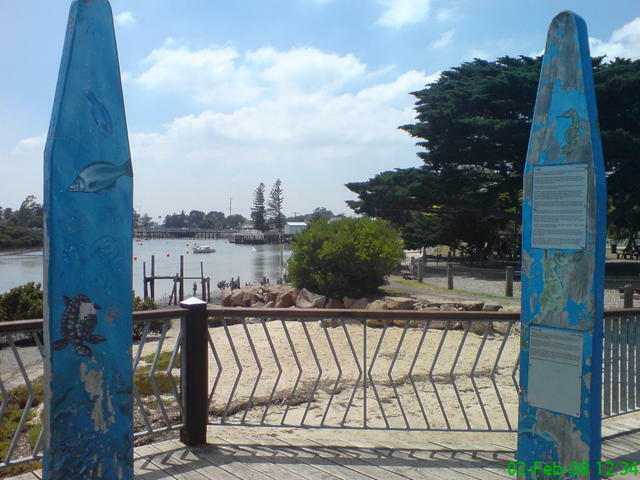 Take Clyde Rd south to the very end, and head south-east to Tooradin, and consider a stroll along the river front that leads to Tooradin Inlet. 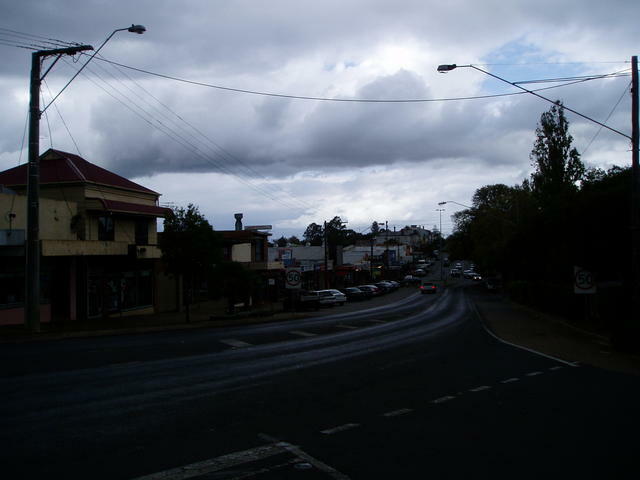 Turn right over the bridge where the Tooradin Pub is on the corner. 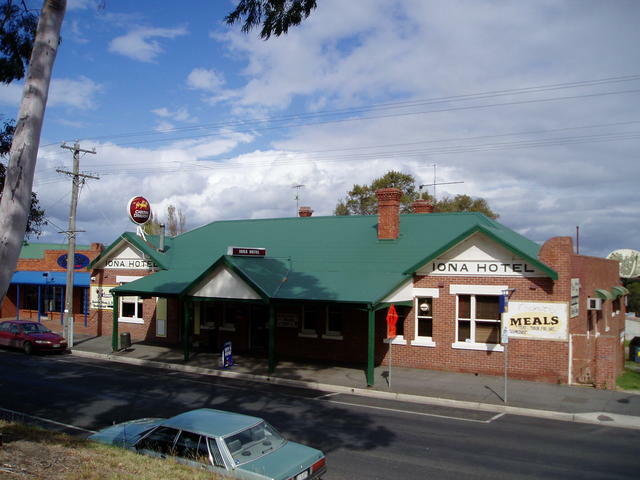 If you've caught yourself a good catch of fish - then its time to brag about it at the local Tooradin Hotel! 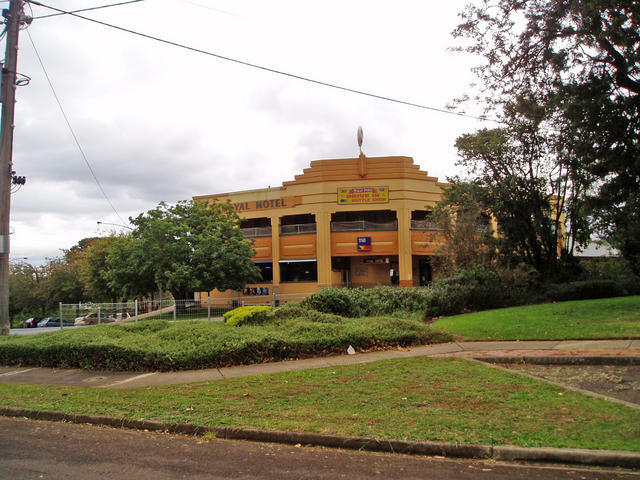 Heading off south, take a slight deviation for a couple of kilometres and check out the township of Koo Wee Rup. You can cut across to Pakenham from here fairly easily too, and pickup the Old Prince's Hwy section that takes you from Nar Nar Goon to Warragul, outlined next. But if you're travelling south towards Phillip Island, get ready for another detour via Loch and Archies Creek - especially if your a keen motorcyclist! Ah! Now isn't the old Prince's Hwy a treat to drive these days. With the freeway traffic hurtling down the express lanes a few kilometres away, you get to enjoy this picturesque part of the region with absolute ease! The main street of Nar nar Goon - township of murals, adjacent to the Nar Nar Goon Hotel. 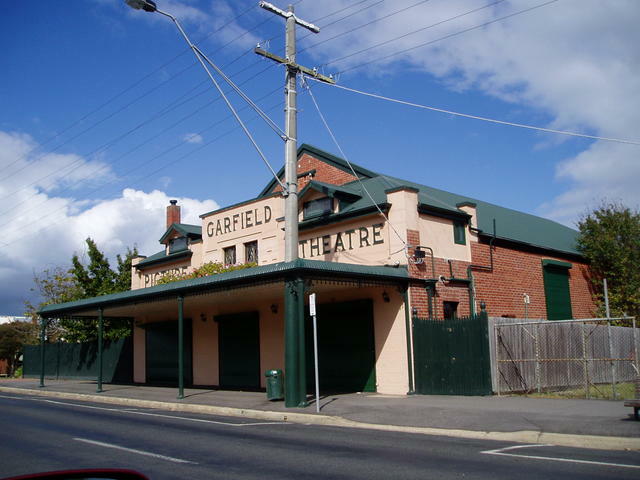 Garfield Hotel top pub, with plenty of information on the local area to share. 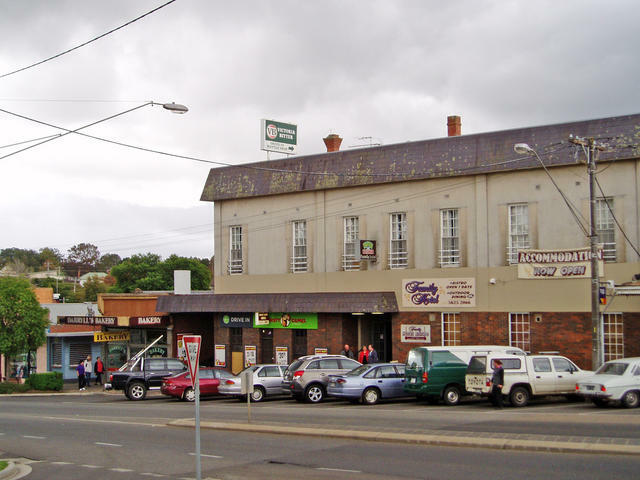 The town of Bunyip offers the locals two watering holes. 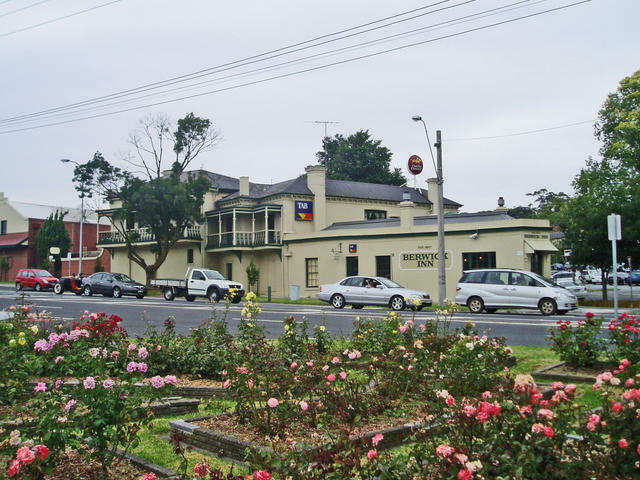 Main street of Bunyip with plenty of sporting history at its Top Pub. 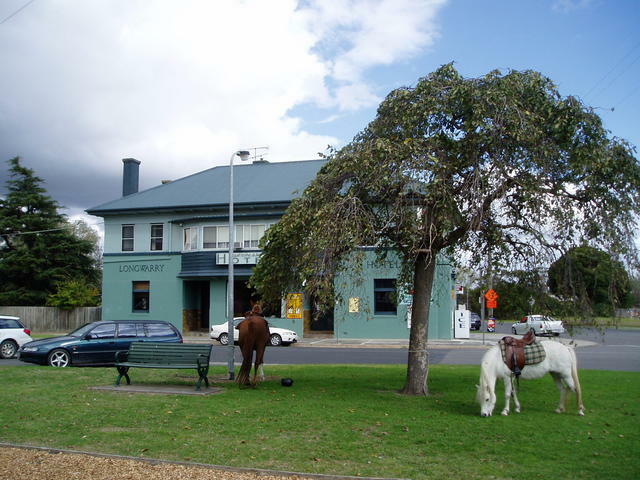 In Longwarry - even a horse finds its way to this local. 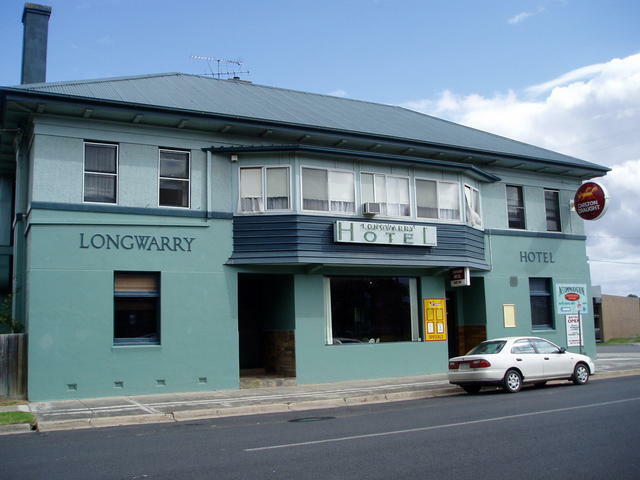 Longwarry Hotel - time to get out of the saddle? 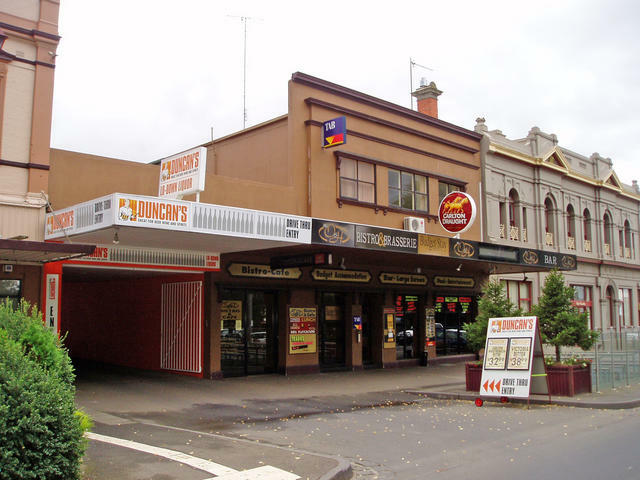 Emerging at Drouin, you pass back under the freeway at the western end of town and can reach Warragul still travelling the old Prince's Highway. 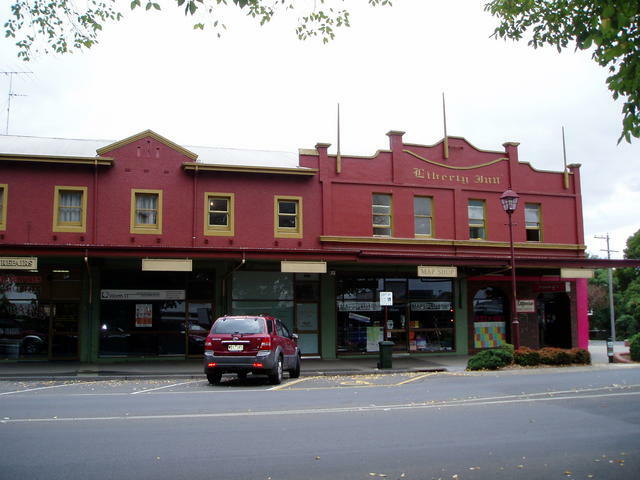 Now where were we, yes: looking for Warragul! 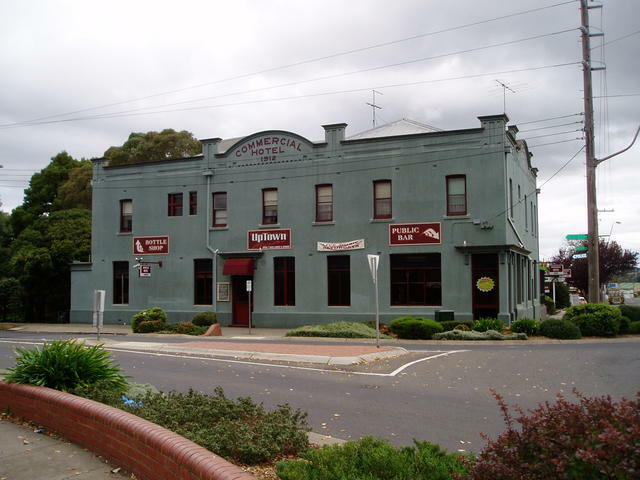 Warragul is a town with loads of historical Pub buildings that line Queen St adjacent to the railway at the foot of town. 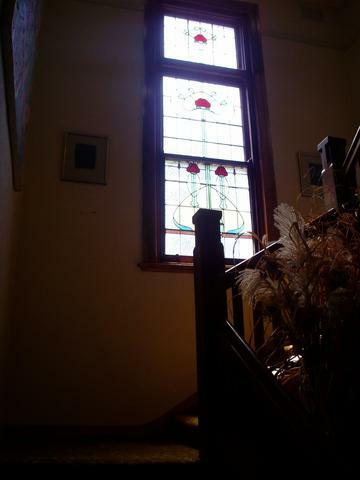 This is an ideal place to park and take a stroll to get a complete view of the ornate building facades. Further into the town, the road splits into two main shopping areas, the left fork taking you up to a series of spired chrches - well worth a look. do the northern loop on the Warburton Trail. try the southern trip down into "Coal Country"
That is, of course, if you've already checked out the southern end of this region for some great ocean views and of course Phillip Island! 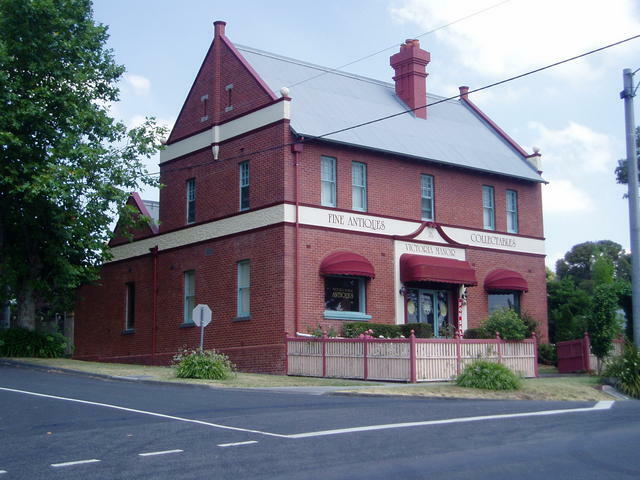 Coal Creek Heritage Village is located in Korumburra, and can be reached from the Prince's Hwy by taking an exit south from Warragul. Coming down from Warragul gives you the opportunity to explore a couple of areas in Central Gippsland in an orderly fashion, leaving the adjacent loopp around Loch to Archies Creek and over to Phillip Island as a separate itinerary. 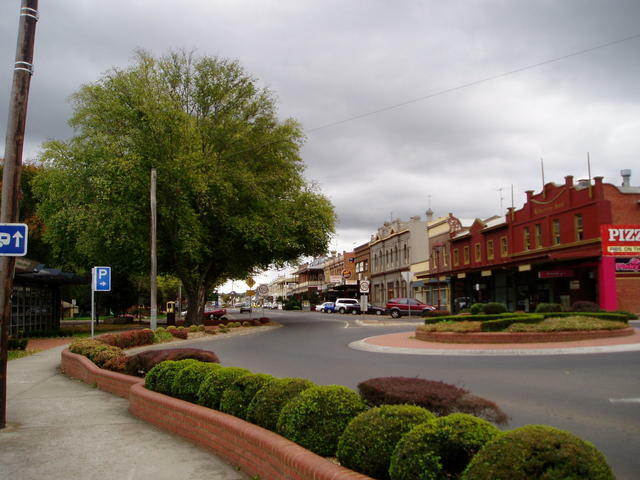 Take the Warragul-Korumburra Rd that leads you through Strzelecki to Ranceby and into Korumburra. Wonthaggi (taking in part of the Motorcyclist route outlined previously, down via Myarra and RIGHT through Kongwak, but LEFGT at Lance Creek and through West Creek. Or head from Wonthaggi through Inverloch and back up to Leongatha, to return to Korumburra, if you are considering heading west towards Phillip Island or up to Melbourne. 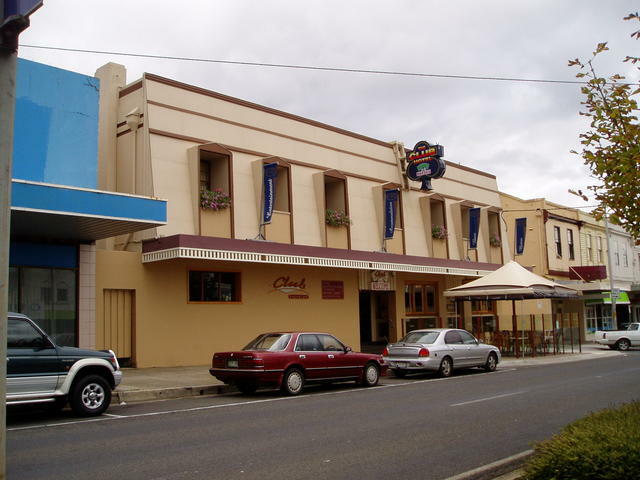 Queen St comprises a number of excellent hotels in Warragul. 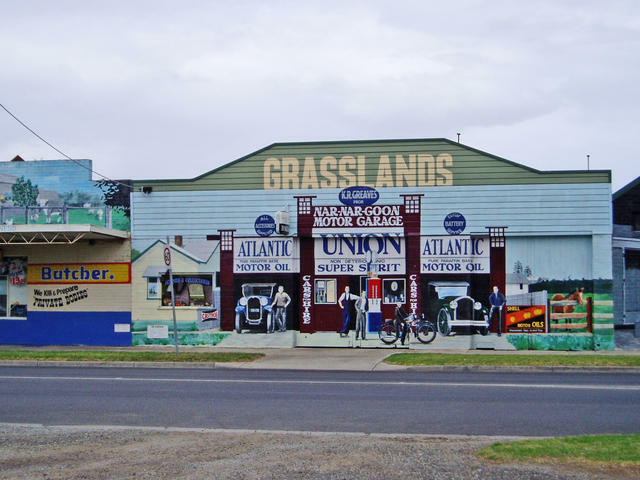 Phillip Island is the home of Grand Prix motorcycle racing, amongst its many other attractions. So the Bass Hwy heading down through San Remo, over the bridge and onto Phillip Islland can be pretty busy in peak tourist times. But just a few kilometres east of the Bass Hwy, the motorcyclists (and car enthusiasts) have discovered a great drive to enjoy, and you should consider part of it, as a nice detour on your way south to the Island. 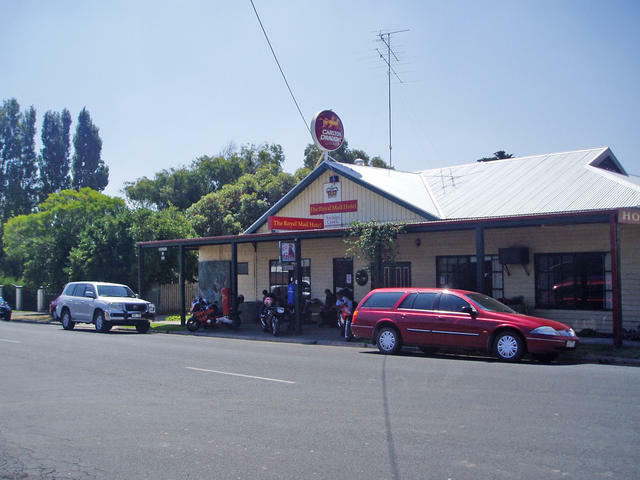 From Grantville, on the Bass Hwy, take a left to Glenn Forbes through to Woolami and head across to Archies Creek. From Archies Creek, spin out through Korrine to Kongwak, up through Moyarra, Jumbunna to Korumburra. 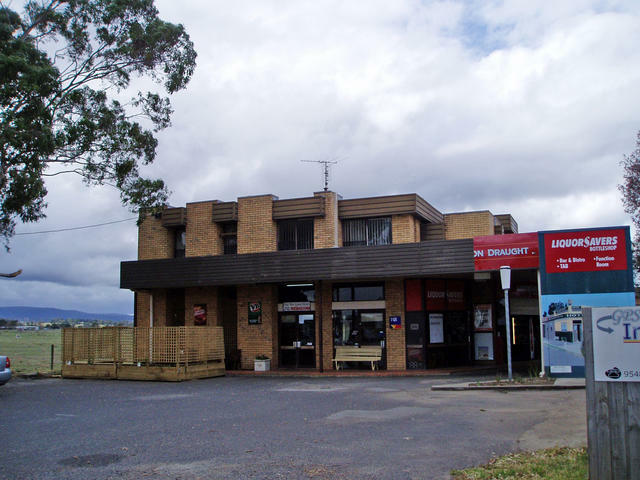 From Korumburra, travel up to Ranceby into Poowong and over to Loch. From Loch, head down to Woodleigh and out to Grantville, back on the Bass Hwy to complete the loop. Heading south from Tooradin or Koo Wee Rup, stay on the South Gippsland Hwy, bearing left towards Korumburra, just after the Lang Lang exit. But just travel to the township of Loch, which requires a right turn into the town from the highway. 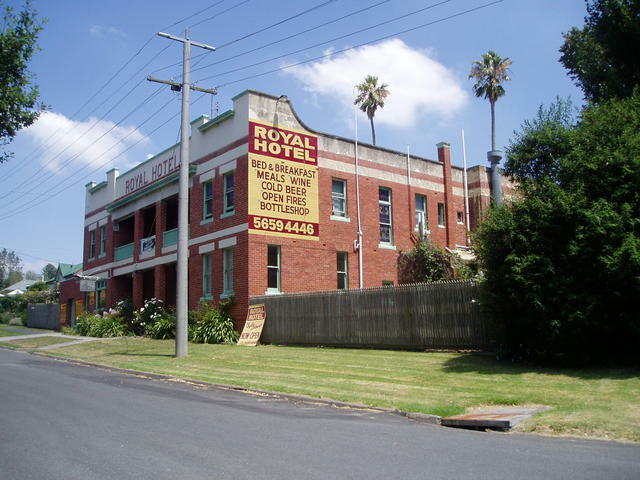 Drop into Sybil's place: The Royal Hotel - highly recommended. 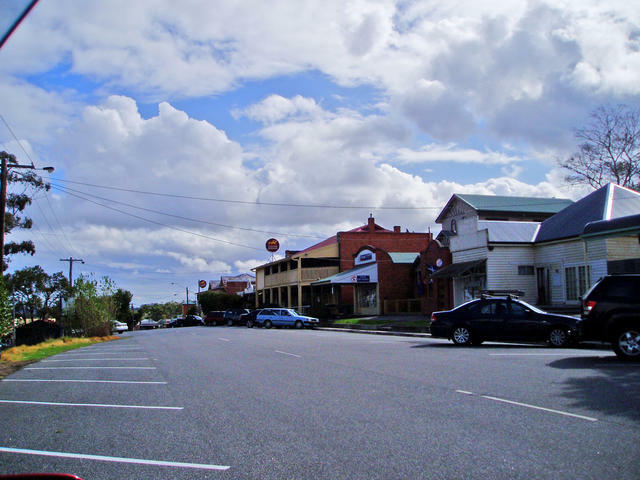 Loch is a great little town to have a look around, before taking a countryside drive south via the Wonthaggi-Loch road, that starts in the middle of town. 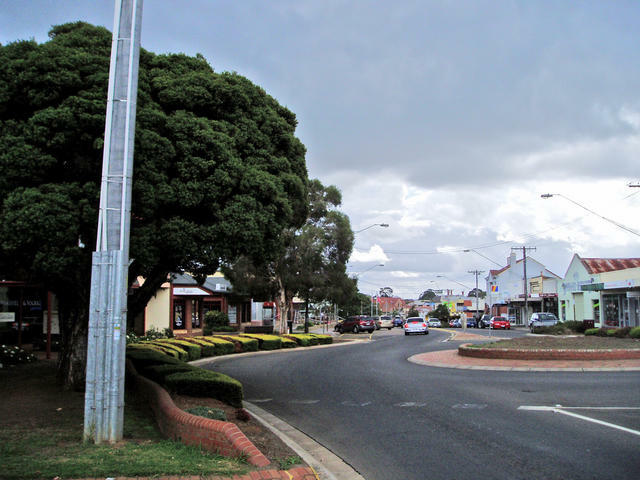 Head south through Krowera and on to Blackwood Forest and to the intersection at Ryanston - where you take a RIGHT turn to drive down into Archies Creek. 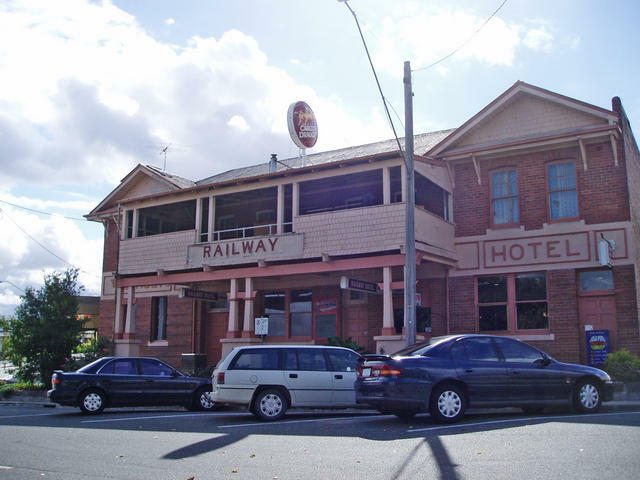 Now here you'll find the Royal Mail Hotel, which has a heap of interesting Pubobilia to enjoy, and a beaut little front bar. Head off south-west out of town to Dalyston, to reach the Bass Hwy. From here its a scenic ocean drive west to Kilcunda and up to the turn off for San Remo and over to Phillip Island. Warragul to Korumburra "Coal Country"
Inverloch is ideally reached from Korumburra either out of Melbourne via the South Gippsland Highway, or south from Warragul from the Prince's Hwy. Inverloch boasts open sea beaches as well as sheltered inlets, and is a poopular summer time destination. 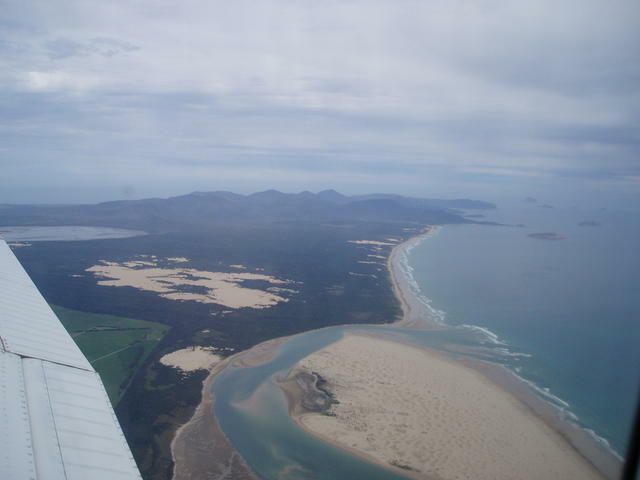 It is also a good launching point for exploring the coastline eastward, around to Venus Bay and meandering around the huge sand dunes at Sandy Point. 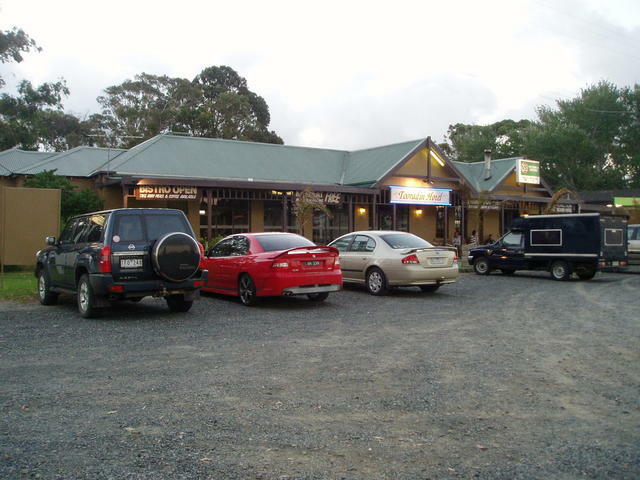 Depending on how you arrived to this area, consider heading to Korumburra for the loop access to Phillip Island, or refer to our Central Gippsland Pub Trail for intineraries leading out to the Tarra-Bulga National Park (Grand Ridge Rd) or further east around the coast through Foster to Yarram and up to Traralgon to join back to the Prince's Hwy. ...... so, where to next? 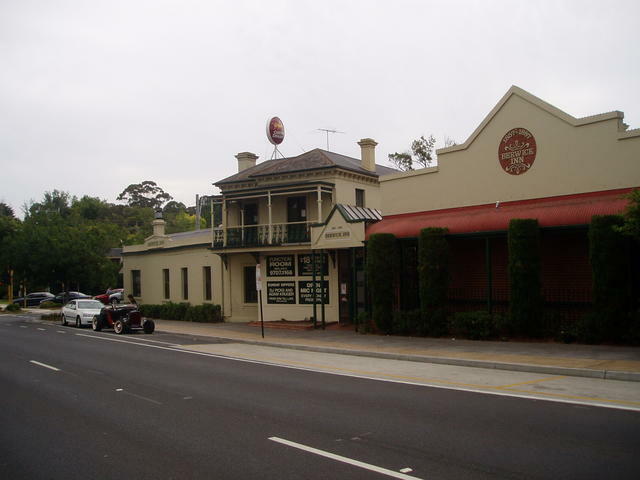 Or maybe its time to set a spell, enjoy a hearty meal at one of the great Aussie Pubs we've introduced to you, and hit the sack, ready for another day of touring the area tomorrow! Secluded beaches surround the Prom.